The organ has been able to work its way into many different music genres over the years, and this quick lesson will show you how to use the Absynth Resonator effect to make one in just a few minutes! With so many different waveforms to choose from, and the unique ability to create your own, the wide range of organ sounds you can create with the Absynth Resonator feature is truly astonishing. 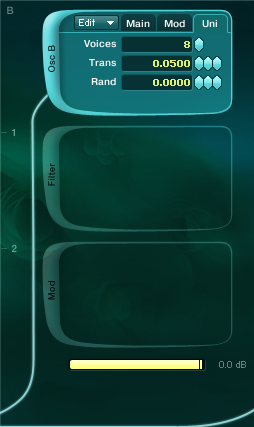 Of course, there are countless other applications for this effect, but it does make designing a quick organ very easy. This tutorial will show a few basic feature used to make our organ, which leaves the rest of Absynth wide open for you to use to modify or customize the sound for your own projects. Although it is not your typical organ, it can be used in a more traditional manner, which will be shown in the audio sample we share at the end of this walkthrough. Let’s start by setting up the oscillator modules. 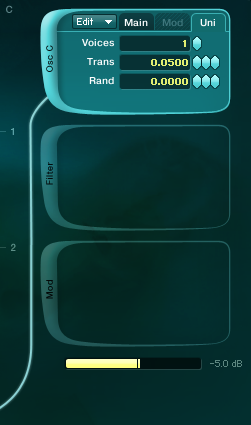 Beginning with Oscillator A, a Sticky waveform is loaded from the Morph Waves menu and the oscillator is set to run in Fractalize mode. 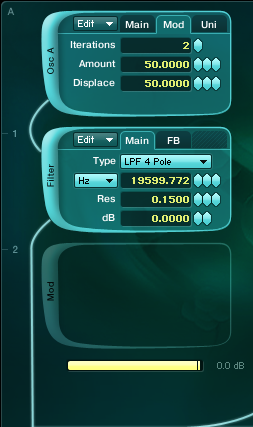 It is set to two iterations and then run through a Lowpass 4 Pole filter to shape the sound. Next, a Subtle Harmonic waveform is loaded into Oscillator module B from the Morph Waves menu and the oscillator is set to run in Ringmod mode. The pitch is increased one octave and a total number of eight voices are used. 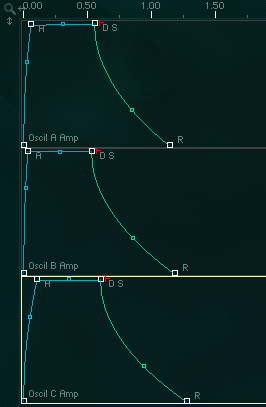 A basic default Sine wave is loaded into Oscillator B to provide the low end support. The Absynth Resonator effect is what really brings this organ to life. Adding to and stretching out the development of the sound, it uses Resonant, Natural and Synthetic modes to accomplish the balance you hear in the final example. A very gentle LFO is added to the mix to give the organ the movement that can be expected from this kind of instrument. Ands lastly, the envelopes are adjusted. Although the changes are slight, the difference in delivery can be heard and fits this Absynth Resonator organ. Below is a small audio sample of the Absynth Resonator organ in action to give you an idea of how it can be used.